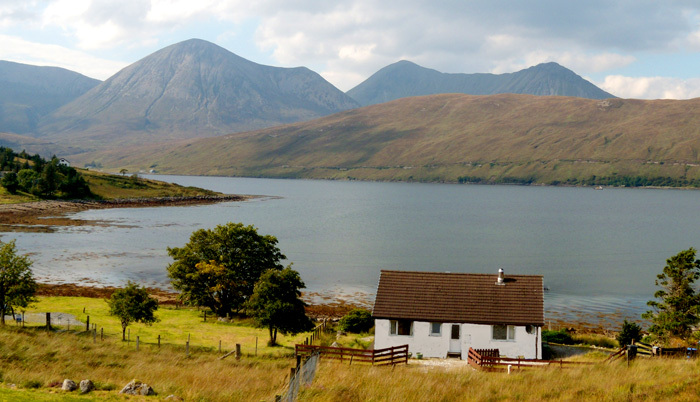 Otters Leap Holiday Cottage, Skye: Accommodation Details. 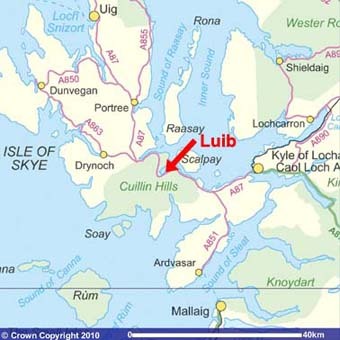 The cottage is at the tiny village of Luib which is less than 30 minutes from the Skye Bridge and just 10 minutes from Sligachan (main access point for walkers and climbers to The Cuillin Hills). Shops and restaurants are 10 minutes away at Broadford, whilst the capital of Skye, Portree, is 25 minutes away to the north. Otters Leap is ideally placed for touring Skye, with easy access to each of Skye's peninsulas. Otters Leap is built on the shores of Loch Ainort and is one of a handful of small cottages which lie between the road and the sea shore, with its back garden sloping right down to the water's edge. 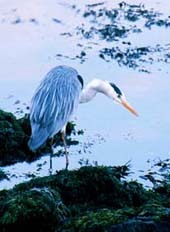 We have a wealth of wildlife passing by including herons, otters, seals, and porpoises, and we've counted over 50 species of sea birds locally. You can paddle your kayak or launch your small boat directly from the house. Alternatively, stay indoors and watch for wildlife through the picture windows or sit outside on the decking and enjoy a drink as the tides ebb and flow. There are walking trails that start from the door, and if you want to leave the car at home you can pick up the local bus a few yards away. This modern, airy cottage was built in 1990 and was recently refurbished. Modern kitchen, open-plan to the sitting room. The kitchen and adjacent utility room are fully equipped and include cooker, microwave, fridge, freezer, dishwasher, washing machine and drier. Large sitting room with log-burning stove, and with patio doors opening on to decking close to the water's edge. This room also has dining table and chairs, comfortable seating, Sky TV, and WiFi internet access. We provide all bed-linen, towels and tea-towels free of charge. 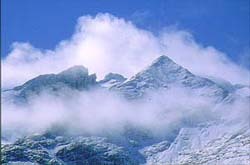 Rental is all-inclusive of electricity, heating, hot water, internet access and a basket of logs for the stove. Strictly non-smoking throughout, and I'm afraid we don't take dogs other than Assistance Dogs. Mobile phone coverage is patchy, but there is a phone box just across the road.